February 19: 5 Power Lessons From 5 Great Leaders Who Made History On This Day! Life is all about choosing between the two paths: first, truly a smooth one- a comfort zone where there is no much scope for growth to hug the summit of success. Second one is pretty challenging, rough and rigid. Only strong ones who are committed, determined and dedicated, can survive through the journey. These achievers who were born this day chose the latter one not just to win their desires but also to groom themselves, decorating their life through their contributions to the world. Read on! 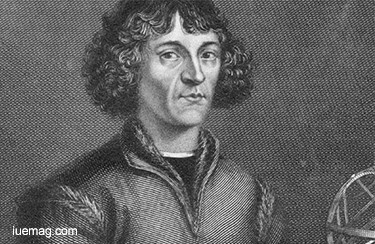 Astronomer Nicolaus Copernicus, was instrumental in establishing the concept of a heliocentric solar system, which states that, it is the sun and not the earth, which is the center of the solar system. He developed his own celestial model of a heliocentric planetary system which proved its accuracy that included a more efficient formula for calculating planetary positions. When the whole world never accepted his theory, his stubborn decision to introduce the right change in the society by making people aware of facts of our universe, is what led him to being remembered in this world even today. He published Copernicus' model in his book De revolutionibus orbium coelestium, just before his death which was a major event in the history of science, triggering the Copernican Revolution- important contribution to the Scientific Revolution. The Renaissance mathematician was also a physician, classics scholar, translator, governor, diplomat, and economist. Fortune stroked as the canon's position afforded him the opportunity to fund the continuation of his education. Simulating his interest in astronomy, he intermittently pursued it during his free time. Living in the house of mathematics professor who influenced him to question the astronomy beliefs of the day, acted as a catalyst for him to procure further growth. From his observations, Copernicus successfully concluded that every planet revolves around the sun and earth rotates daily on its axis. He became the sign of one of the courageous scientist standing alone, defending his theories against the common beliefs. His observations of the heavenly bodies were made with the naked eye as telescope was not given rise to. 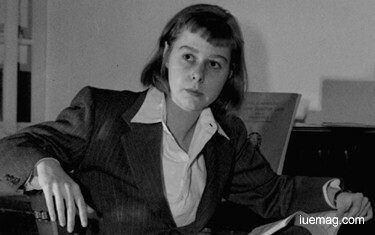 Carson McCullers was 23 when she her first novel, The Heart Is a Lonely Hunter, was published. When she was fifteen, her father gave her a typewriter to encourage her story writing. She started developing skills from a very early age which enabled her to become successful. She focused on quality of experience rather than the amount of it. She was an American novelist, short story writer, playwright, essayist, and poet. Returning to New York she worked in menial jobs while pursuing a writing career; attending night classes at Columbia University, she studied creative writing. She owned success early: Her very first work, "Wunderkind", an autobiographical piece that Bates admired, depicting a music prodigy's adolescent insecurity and losses which appeared in a magazine, was published when she was 19. McCullers published eight books out of which the best known are The Heart Is a Lonely Hunter, Reflections in a Golden Eye and The Member of the Wedding. The young writer having no timid or frail in facing life, gained early critical and commercial success. The center, of her memory, is dedicated to preserve the legacy of McCullers, to nurture American writers and musicians, to educate young people and to foster the literary and musical life of Columbus, the state of Georgia and the American South. Some of us don’t hesitate to showcase our talents to the world, but some do. Exhibiting our talent would surely increase confidence and shape our life in a constructive fashion. Joan Hans Holzel, better known by his stage name Falco, an Austrian singer, songwriter and rapper, performed under the stage name of Falco. He sold 20 million albums and 40 million singles, which made him the best-selling Austrian singer of all-time. Falco, as a toddler, by showing signs of unusual musical talent at a very early stage, he was able to keep time with the drumbeat in songs he heard on the radio. Having gifted a grand piano for his fourth birthday, he turned it into a record player which he used to play music of Elvis Presley, Cliff Richard, and the Beatles. At an age of five, he auditioned for the Vienna Music Academy, where it was confirmed that he had absolute pitch. He played bass guitar in a number of bands under various pseudonyms, including "John Hudson" and "John DiFalco.” One such band with whom he appeared was Drahdiwaberl, an Austrian group that employed shock tactics and stage antics. Once Falco was signed as a solo artist, he continued composing his own music by hiring a lyricist. 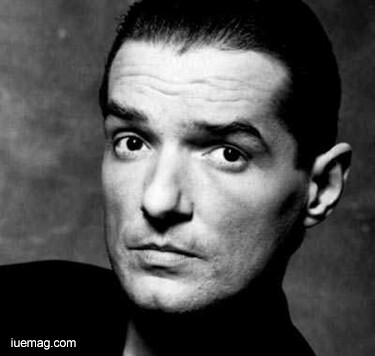 Although, Falco’s intended first single "Helden Von Heute" received a lukewarm reception, his love for music never faded. He recorded "Rock Me Amadeus" inspired in part by the Oscar-winning film Amadeus, and the song became a worldwide hit. This time, his record reached No.1 in the US and UK, bringing him the success that had eluded him in that major market a few years earlier. The song remained in the top spot of the Billboard Hot 100 for three weeks and his album. He peaked at the number three position on the Billboard album charts and reached number six in the Billboard Top R&B Singles Chart. 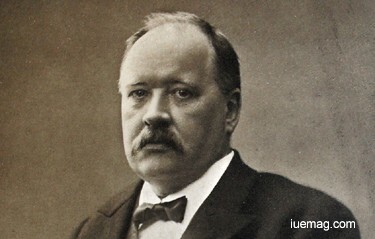 Hundred years ago, Svante Arrhenius, often called as a chemist and one of the founders of the science of physical chemistry, asked a question “is the mean temperature of the ground in any way influenced by the presence of the heat-absorbing gases in the atmosphere?” which made him become the first person to study about the effect of doubling atmospheric carbon dioxide on global climate. This Noble prize winner founded and became the first secretary of the Stockholm Physical Society, a team of scientists who were interested in geology, meteorology and astronomy. The nobel laureate remained as the director of the Nobel Institute and is alive through the contributions to science; these contributions include Arrhenius equation, Arrhenius definition of an acid and more. Graduating as the most able student, Arrhenius explained the fact that most reactions require added heat energy to proceed by formulating the concept of activation energy, an energy barrier that must be overcome before two molecules would react. The Arrhenius equation gives the quantitative basis of the relationship between the activation energy and the rate at which a reaction proceeds. The attitude of being hungry for knowledge held him high over the ocean of science. Learning right from the previously failed theories is the medicine to advance in that field. Fulfilling responsibilities are never easy. There is what is called as ‘faith’ behind handing over a responsibility to you and there has to be what are called as ‘confidence and gratitude’ before taking it. 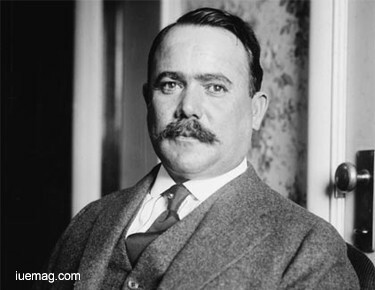 Alvaro Obregon was a statesman, general in Mexican revolution, soldier and reformer who, as president, oversaw massive educational reform, moderate land reform and labor laws. Obregon's presidency was the first stable presidency which managed to impose peace and prosperity ever since the Revolution began. Obregon's forces captured Culiacan, thus securing the supremacy of the Constitutional Army in the entire area of Northwestern Mexico under Obregon's command thereby heralding in army services. During the battles with Villa, Obregon had his right arm blown off. Obregon said "And then everyone saw a miracle: the arm came forth from who knows where, and come skipping up to where the gold coin was elevated; it reached up and grasped it in its fingers–lovingly–That was the only way to get my lost arm to appear”. The arm was subsequently embalmed and put in the monument on the site of where he was assassinated in 1928. Obregon always wore clothing tailored to show that he had lost his arm in battle as a visible sign of his sacrifice to Mexico. Any facts, figures or references stated here are made by the author & don't reflect the endorsement of iU at all times unless otherwise drafted by official staff at iU. This article was first published here on 19th February 2017.